MultiBrief: Is retirement bad for your health? Is retirement bad for your health? Floating out there somewhere in the vast Sargasso Sea of unexamined opinion is an idealized conception of retirement — that most Americans plan on retiring; that there will be enough money for retirement when the time comes and that it will be a fulfilling and happy time of life. No short article can hope to treat the full complexity of the subject — more about that below — but some of these opinions are simply wrong. In reality, according to an extensive 2016 study conducted by the Pew Charitable Trusts, a majority of Americans have no very clear conception of what their own retirement will look like, or even if retirement will ever be economically possible. On the contrary, almost two-thirds of those surveyed believed they would continue to work past the traditional retirement age of 65, most out of necessity. But many others, regardless of economic need, intend to work as long as they can. Recent research suggests that continuing to work past retirement age isn’t a bad idea: that it may positively affect both your mental well-being and your physical health. Among other possibly surprising benefits: those who continue working live longer. Possibly, there’s nothing wrong with retiring; for some, retirement turns out to be just what it’s supposed to be: more time to spend with family and friends and to explore a variety of interests that may include travel and acquiring new skills. There are numerous inspirational stories of individuals who made remarkable achievements in retirement, some in sports, others in learning or scientific discovery. Mortality associated with early retirement: A widely cited Shell Oil Company study has noted that those who retire in their 50s die sooner than those who retire later. Greater mortality rates overall among retirees: A detailed investigation of the relations between health, mortality and retirement age in the American Journal of Epidemiology, noted, startlingly, that those who retired — independent of age -- had a 51 percent increase in mortality over those who continued working. There’s also evidence that for every 5-year increase in retirement age, there’s a 10 percent decrease in mortality. Generalizing for a moment, it would seem that the answer to the question of the title — "Is Retirement Bad for Your Health?" — is, yes, it can be. You need to plan physical activities. A preponderance of the research shows that avoiding increased mortality risks requires both strength conditioning — lifting weights, using the various weight machines at your gym or both — and aerobic exercise. Lifting weights for as little as an hour each week reduces your risk of a heart attack or stroke by at least 40 percent and in some studies by as much as 70 percent. The exact percentage isn’t the point here: getting in at least an hour of weight training each week definitely is. Similarly, the Mayo Clinic recommends about 150 minutes of week of moderate aerobic exercise, like walking, or 75 minutes of exercise sufficiently vigorous to break a sweat. You need mental as well as physical exercise. Dr. Shirley Newall notes that our brain’s neural pathways deteriorate over time. To keep them working as well as they can, you need to look at mental exercise the same way you look at physical exercise. Although the specific benefits aren’t fully known, it’s generally agreed that brain exercises, many of them designed specifically for older persons, improve our memories. But anything that requires learning and poses mental challenges — whether it’s taking up bridge or mapping out your vacations — will help. As with physical exercise, you need to exercise your brain regularly. You need to stay engaged. Seniors with extensive social networks tend to live longer — substantially longer — than those who become isolated. In retirement — particularly in an age of abundant high-quality streaming entertainment and the wide variety of ordering-in options, from Amazon to ChowNow and DoorDash, it’s easy to avoid human contact. But it’s terrible for your health. We’re social animals, all of us, and when we become isolated, we’re prone to depression, worsening health and we die sooner than those stay connected to their communities. It’s not retirement itself that poses mortality risks; it’s what you may fail to do that makes the difference. 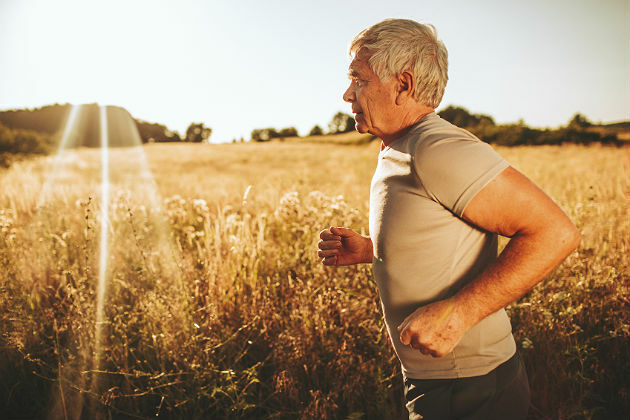 In retirement, we all need to stay physically active, mentally engaged and socially connected. Patrick Gleeson is a widely published Ph.D. and was formerly a Registered Investment Advisor and musician.